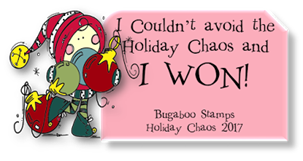 It's another fun challenge at Sweet Stamps . Our challenge theme for this week is Butterflies! The image is stamped and colored with Copics- then I added Sakura Gelly Roll Pen to highlight the flowers. I added Creative Inspirations paints spattering it (Ivory) onto the front of the card- in the center- not over the floral image. 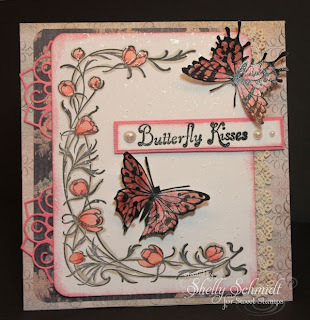 The butterflies are stamped and embossed, then painted with Pink and Beige CI paint, then highlighted with R22 and W1 Copic markers. I sponged a touch of In the Pink Shades Die ink around the border of the card. Love the Prima DP and added a couple of Sweetcuts die to add a touch of the pink tp the back layer. 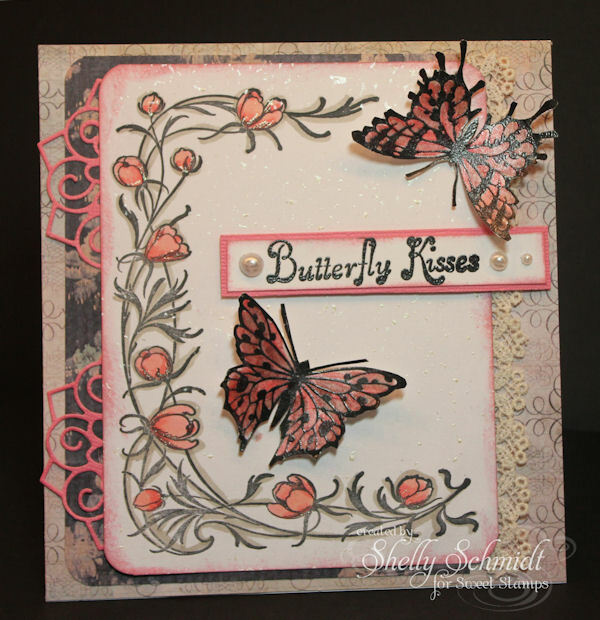 This is gorgeous Shelly - love the butterflies and those flowering vines are perfect. Wow, really creative card. LOVE it! Pretty card, nice layout and use of images. Shelly as lovely as always! Just love the way you composed your whole card! Love those butterflies. The die you used is fantastic just popping out from under! The lace you added just softens every thing too. FAB!!! Wow, what a great job with your coloring. 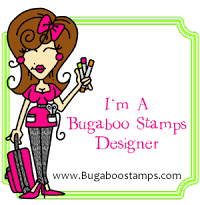 Love the layering with dies and stamped images! Gorgeous Shelly. Love those butterflies!! Very creative! Gorgeous!!! Love the butterflies and vines. Creative and so lovely. Shelly this is a most stunning card! I love the flowers and those butterflies are to die for! Love it! Gorgeous! Love the colors on here and the dies you used! Wonderful color combination, beautiful coloring on the Floral Corner Wrap and Butterflies. Love how you added the Mini Medallion and the border die. Awesome design!! Stunning Card, Shelly!! Got to love butterflies and you did an awesome Job coloring them!! 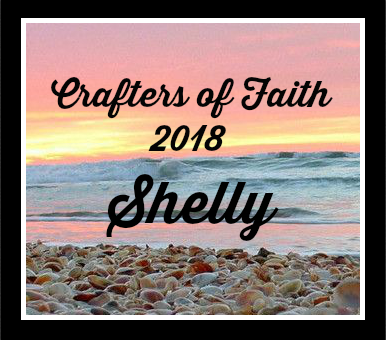 Absolutely gorgeous, Shelly! Wonderful butterflies and such perfect coloring. Love it! Gorgeous card, Shelly! I love the flowers and the butterflies. The soft colors are so perfect! Your butterflies are beautiful and I like the color combination. Thanks for sharing your talent with us at Mema's Crafts. Good luck in our challenge draw. This is lovely! Love the papers you've chosen and your layout! Thanks so much for sharing with us at A Gem of a Challenge this week! Wow! Gorgeous card. I love it. Love the butterflies and how you used those images together. Sweetness!